Fremont YouTube Live Starts Friday Spring Break April 15-19 No Regular School First Bell Rings 7:50 a.m. School Starts 8:00 a.m.
Fremont dusted Dorsey off on the Pathfinder's field. 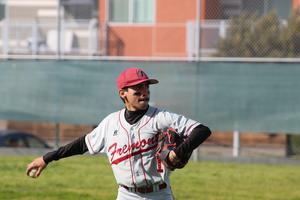 March 27, 2019 -The Dorsey varsity baseball team lost Wednesday's away conference game against Fremont High School by a score of 7-0. In the San Fernando Classic tournament, the Pathfinders varsity baseball team has an away tournament game with the Lions at Fairfax High School on Saturday, March 30 at 11:00. Support your Pathfinders, Fremont! 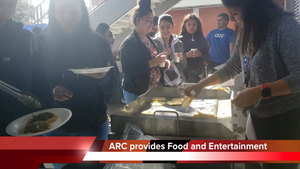 March 22, 2019 -A cozy after school evening in front of the dining room area, students gathered to collect their delicious carne asade or pollo tacos. Yum! As teachers and students karaoked their favorite song or hip hop rhymes. There was great food and fun on that sunny evening. Stay involved Fremont! Our slugging Pathfinders take down the Romans. March 22, 2019 -Pathfinders win their home conference game against the Los Angeles Romans 12 to 5. Hopefully you saw this game, if not, you still have a chance to catch the Pathfinders' ballplayers on the diamond when they take action at home in a conference game against the Dorsey Dons on Wednesday, March 27th at 3:00. Make away and get involved Pathfinders! Player of the game Jordan Ayala pitched 1 hitter 5 innings! 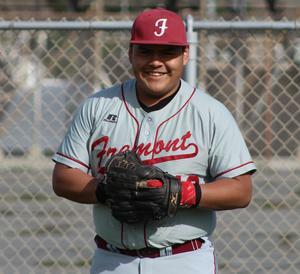 March 20, 2019 -Boys varsity baseball pitcher is the player of the game in a Pathfinder win over Crenshaw by a score of 17 to 11. 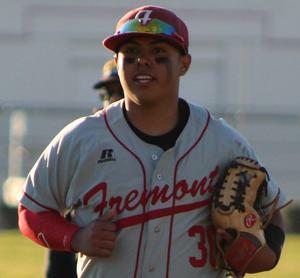 Go out and support our Pathfinders on Friday, March 22 at 3:00pm on the baseball field as Fremont plays against Los Angeles High School. Be one of Fremont's Finest! March 18th, 2019 -Drew Magnet and Bethune middle school students learn what it means to be one of Fremont's finest when they visited the Pathfinder's campus this past Monday. The middle schoolers were given a warm welcome, a special assembly, and a tour of our Mont Pathfinders' campus! Click on the link to watch the video and see all the action. Fremont High School's A-G Counselors, Ms. Le Sure and Ms. Delgado partnered with Bethune Middle School's A-G Counselor, Mr. Hawkins and Drew Middle School's MAGNET Coordinator, Ms. Curry for a middle school field trip to Fremont on Monday, March 18, 2019. Students from both schools were able to hear from Fremont's students and staff regarding the programs and clubs offered on campus, visited classrooms, took a tour of the school, learned tips for success, and had the opportunity to enjoy lunch on the beautiful campus. 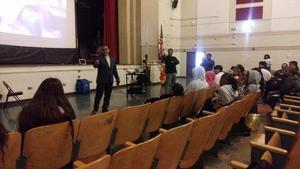 In addition, students learned about attendance mandates, A-G and graduation requirements. This collaboration between schools helped to prepare middle school students with the transition into secondary education and to become more acclimated with the school culture. Fremont JROTC's latest Color Guard team. 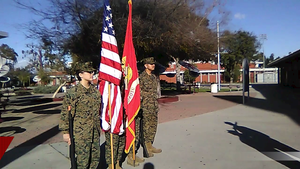 March 8th, 2019 -Here are the latest updates on Fremont's JROTC Color Guard team, who is led by Captain Miyah Cleveland. The Color Guard team is made up of 4 people Simon Rodriguez, Angel Suvia, and Jennifer Landa. The company CO(Crystal Garcia) and company guide (Edgar Vazquez), who were proud of their color guard performance. They practice every Tuesday and Thursday which you guys can see on the quad after school. Fremont, let's encourage them and root for them by getting involved. Let's find a path or make one Fremont! Thank you Jessica St. Paul, Professor Bernard, Professor Hickman, Dr. Nezy and Los Angeles Southwest College for providing opportunities to Fremont students. 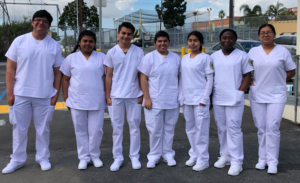 The Fremont Seven participated in the Certified Nursing Assistant practice lab on Saturday, March 9 at LASC. The seven students will continue the nursing assistant training at LASC in preparation for the state exam. A certified nursing assistant (CNA) job puts you on the front lines of patient care. Nursing assistants are vital to daily operations in hospitals and nursing care facilities. March 8, 2019 -On the last day of Black History Month, Principal Montoya showed a select group of club members a screening on the Afro-Hondurans (Garifuna). The video and discussion highlighted the struggles they face as a community and the U.S influence on this community. They have created their own language, food, and their own cultural identity that is distinctly different from general life in Honduras.